Your first grown-up apartment is a big deal, don’t miss these 11 decorating essentials to make it perfect! Moving out of your college dorm room or sorority house into your first real apartment rather than back in with your parents is a huge accomplishment. This is the time when you throw out your wall collage of taped up pictures and purchase furniture that’s not made of plastic. 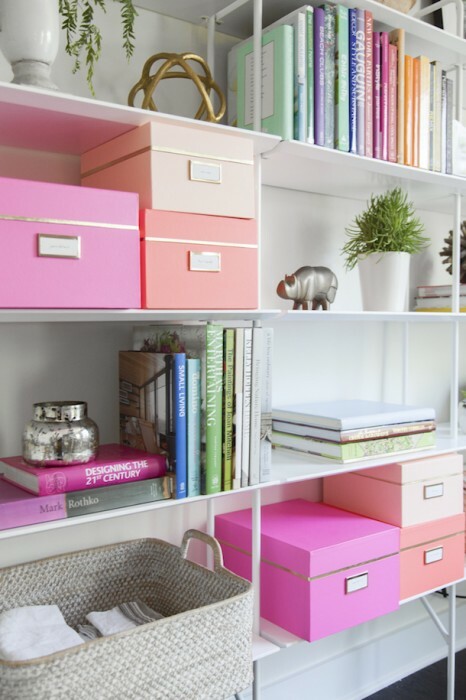 Because you’re going through a huge transitioning time in your life, it can be hard to put together the perfect space that represents your style and personality. 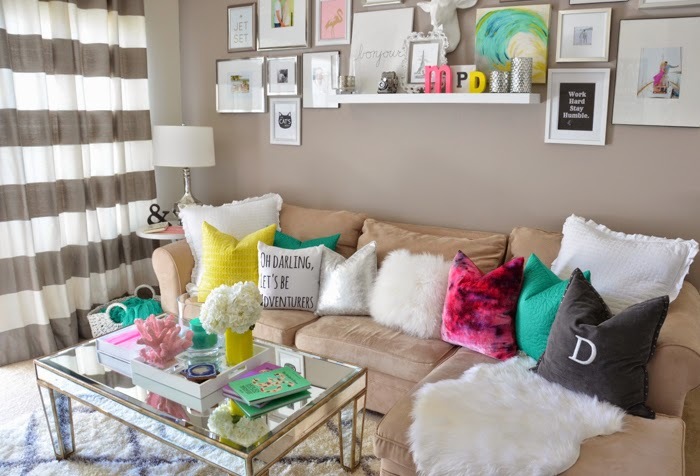 Take a look at these 11 decorating tips that are easy (and cheap) for your first post grad apartment! for less than $50, or you can purchase a Universal Bed Frame that will bring you up off the floor just enough. For those of you who spent your college meals eating on your bed, part of growing up means it’s time to move to the table. Now this doesn’t mean you need to splurge on a fancy expensive table. Search through thrift shops, shop online, or ask friends and family if they have any old furniture they are looking to get rid of. 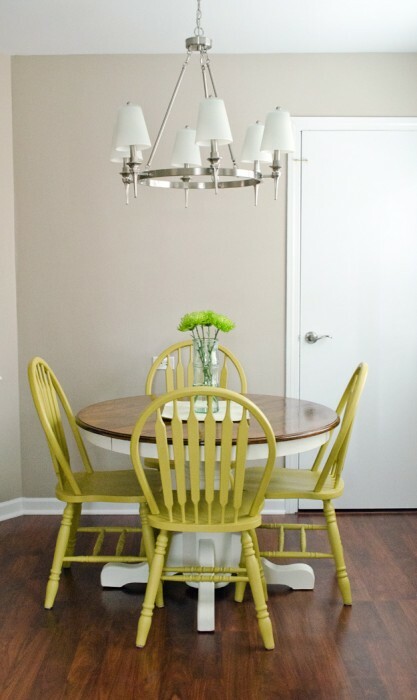 A repurposed or used kitchen table can be just as fabulous (or even more so) than a brand new one – like this kitchen table makeover with chalk paint! While you may not need to spend time studying post college, you will need a place to store your mail, bills, laptop, agenda, and any other daily life necessities. 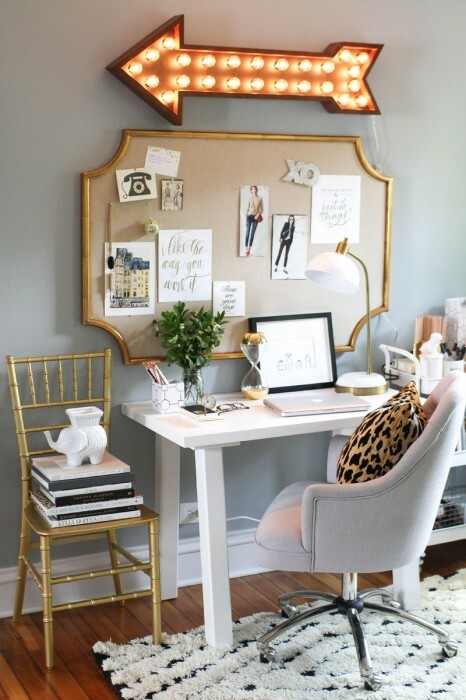 Just like you would in your dorm, create a personal desk space to keep yourself organized and your life in line. Make your decorations a bit more permanent by framing your photos rather than printing them out and taping them onto your walls. Creating a wall gallery full of your personal photos, favorite artwork, and inspirational printables will pull together a pretty display fit for an apartment. Find out how to make your own, here. If you really want to make a statement in your new apartment, create an accent wall to instantly grab attention and ramp up your style. 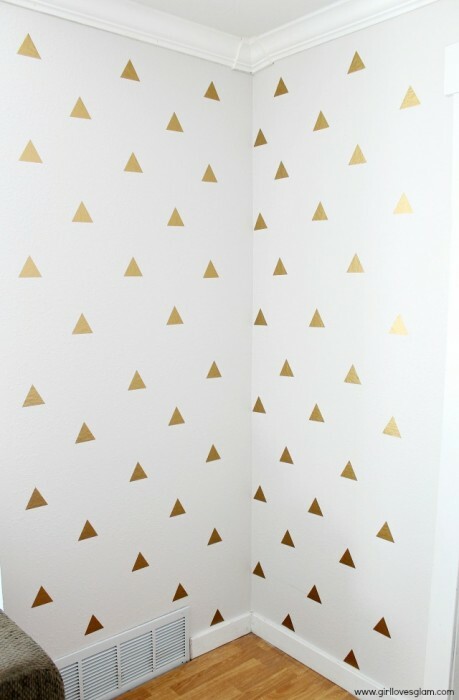 Vinyl is a great choice when it comes to wall decals as it’s removable, like this gold geometric triangle decal wall art. Even with a low budget you can still spice up your space with little trinkets and festive decor items that will bring your apartment alive. 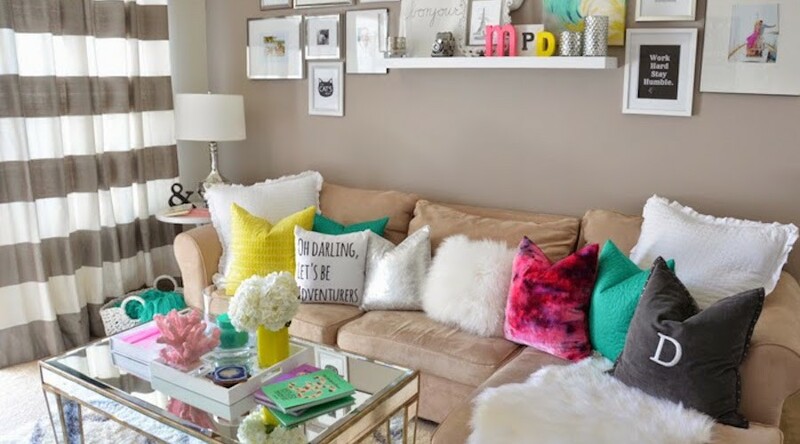 As you adjust into your new real world lifestyle, make sure to show off your personality with fun decor accessories like graphic pillows, fuzzy blankets, vases of flowers, and many pops of color! 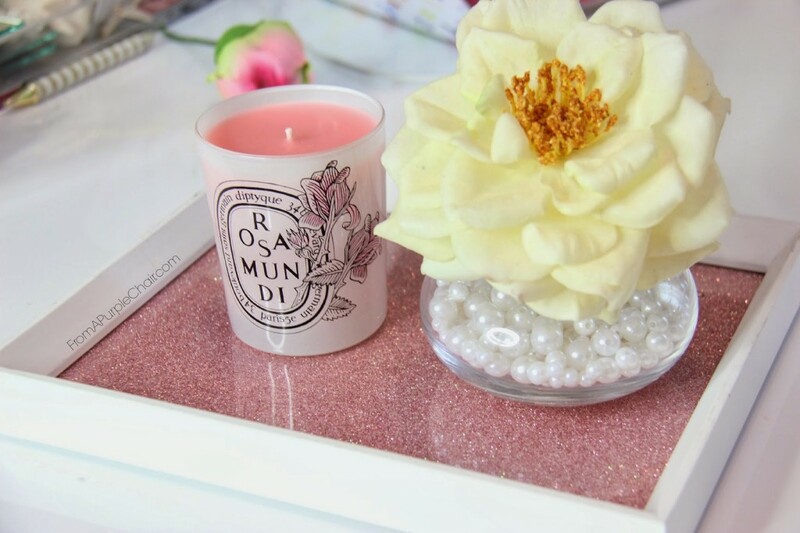 One of the easiest ways to decorate your apartment is to add candles to any room. Smells of vanilla or lavender will surround your post grad apartment with some extra sweetness! Another super easy way to decorate your apartment is to cover those ugly bland blinds with your favorite colored or patterned fabric. Curtains don’t only belong along a window, you can also use them as a room divider to double as a door or to hide your messy closet. 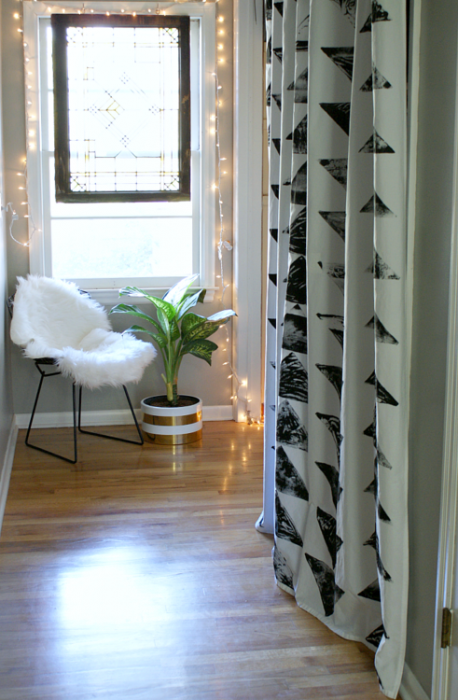 Find out how to make these trendy block stamped curtains to steal the look! Long, skinny, small, wide, or plastic, all types of storage bins, attractive boxes, and baskets are about to become your best friend. Keep control of your clutter by tossing out items you haven’t touched within the past year, and store your magazines, movies, blankets, etc. in stylish containers! Doubling as lighting and decoration, string lights are a fun way to add a fun colorful glow to your apartment. 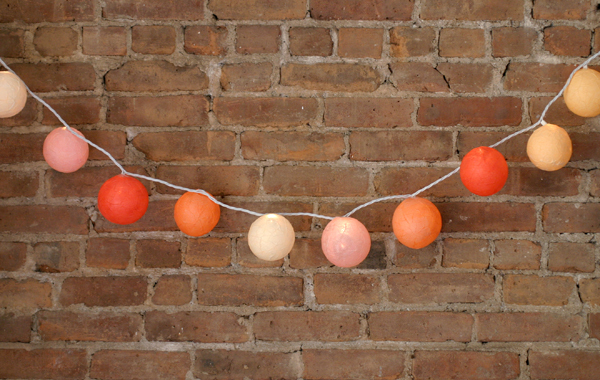 Make your own string lights by following this paper mache lit garland DIY tutorial. Plants can be hard to tend to when you have a busy schedule, but using them as decoration will bring your apartment to life. A potted plant, such as a succulent will be your answer to mixing in plants to your decor. Succulents are very easy to keep alive as they require almost zero care, not mention they’re cute to boot. 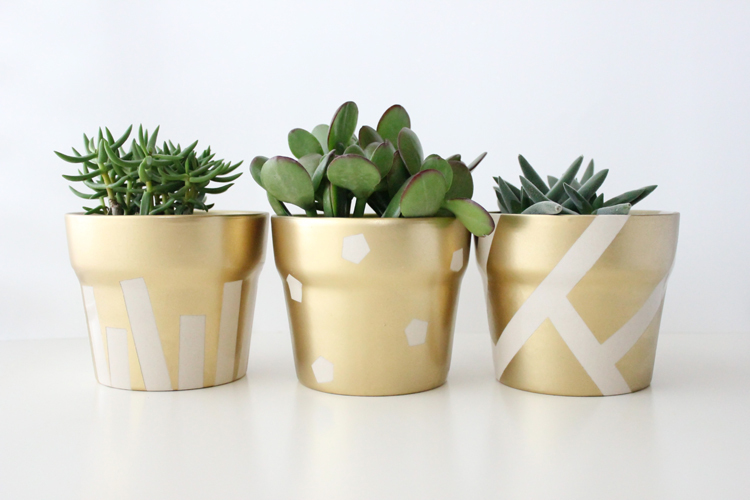 Find out how to make your own gilded succulent pots, here. 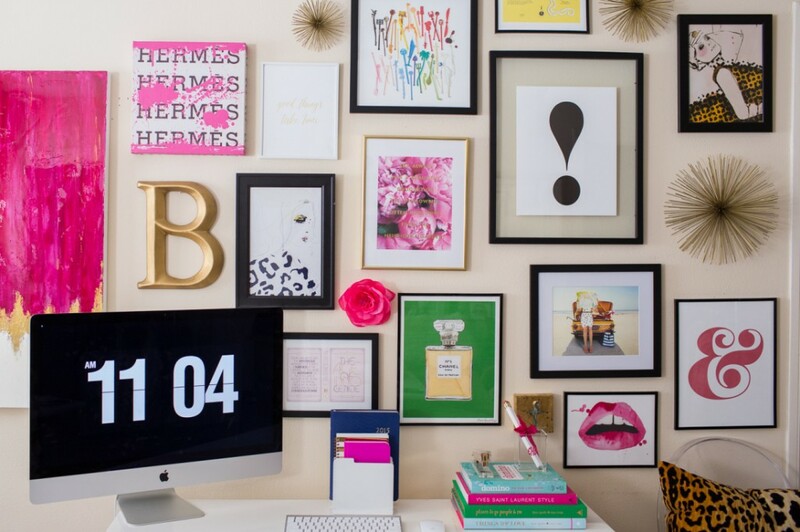 How do you plan on decorating your post grad apartment? Let us know in the comments below!